There are certain foods that are in your cooking comfort zone – tomatoes, potatoes, zucchini, even eggplant to a degree. Then there are others which you know taste good – they said so on Top Chef – but are so alien to you, that any time you see them in the grocery store, you hurry past and hope they didn’t see you coming. Sunchokes are one of those foods. I most commonly have heard of sunchokes as the base of a creamy, wintery soup for which people hmm and haw over its delicate taste. As a relative of the sunflower, sunchokes have a taste more akin to the artichoke and a shape that resembles bulbs of ginger. I’ll tell you what made me most nervous about this vegetable – I had no idea how I was going to peel the little sucker. With all its curves and pointy nubs, it seemed like it would take hours just to prep two handfuls of them, which didn’t seem worth it. Sorry sunchoke. But lucky for me, Boy thought very differently and came home one night with a bag full of sunchokes. Our assignment – cook them. 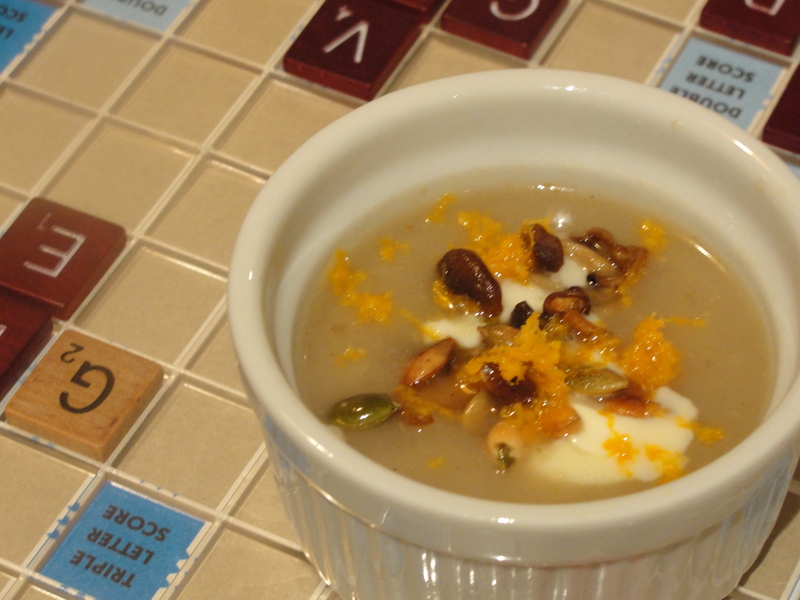 But since we were both so unfamiliar with this ingredient, we decided to try not one, but two recipes: Sunchoke Soup with Pumpkin Seeds and Sunchoke Chips. We kept the flavors of both recipes very simple so we could experience the full effect of the ingredient – we weren’t really sure what they tasted like. Turns out, that on their own, sunchokes pack quite a punch. And while the soup took some time to make, the chips could not have been easier. 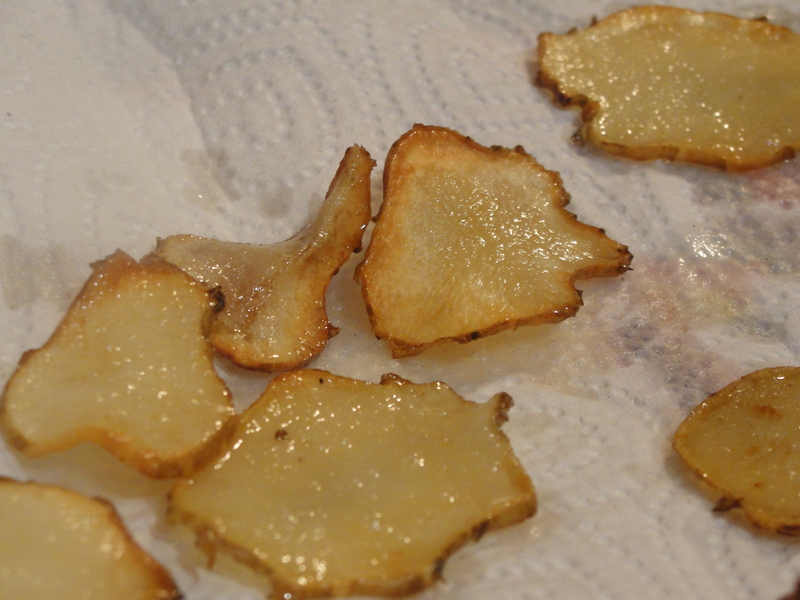 Although peeling does take some time and effort, it moves along much quicker than I had imagined and for some recipes, like the chips, the sunchokes taste better with the skin on. I also want to add that I think artichokes are an even more time consuming vegetable – you have to cut the tips of their leaves and steam them and then take out the heart and so on and so on. So when it comes to making a soup with that same earthy flavor, I would much rather grab a few sunchokes and get cooking. So the next time you find yourself hiding from a mysterious, but intriguing ingredient, remember to set aside a few hours and give it a chance. You may find your new favorite flavor enhancer or go-to crowd pleaser. You just have to be willing to take a leap of faith and see what happens. Sometimes you will fail, but most of the time, you will come out on top with something really delicious to eat. Chow on. 1. Begin by peeling your sunchokes. To make it easier, first cut off the knots on the sunchoke. This will give you a more even surface for peeling without losing too much of the ingredient. 2. 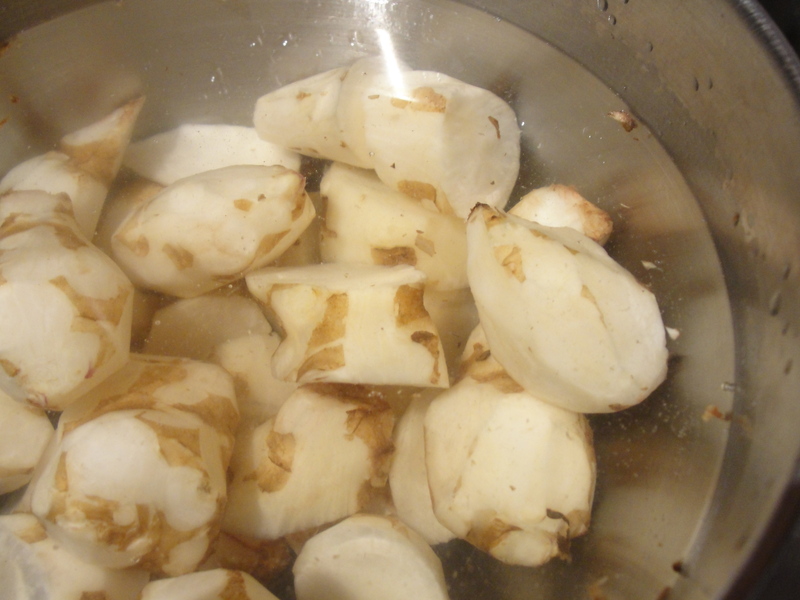 Cut the sunchoke into smaller, round pieces and set aside in a bowl that contains 2 cups of water and the vinegar. This will keep the sunchokes from turning brown. 3. Heat butter in a pot over medium heat and carefully stir until the butter has been browned. Without much seasoning in this recipe, the brown butter gives it a nice, nutty flavor that will enhance the whole dish. 4. Add the garlic to the butter and let saute until soft. 5. Add the remaining 4 cups of water and bring to a boil. 6. Add the sunchokes to the pot and allow them to simmer for 30-40 minutes, or until they are soft. Be prepared to wait, so either pay your bills or play a game. 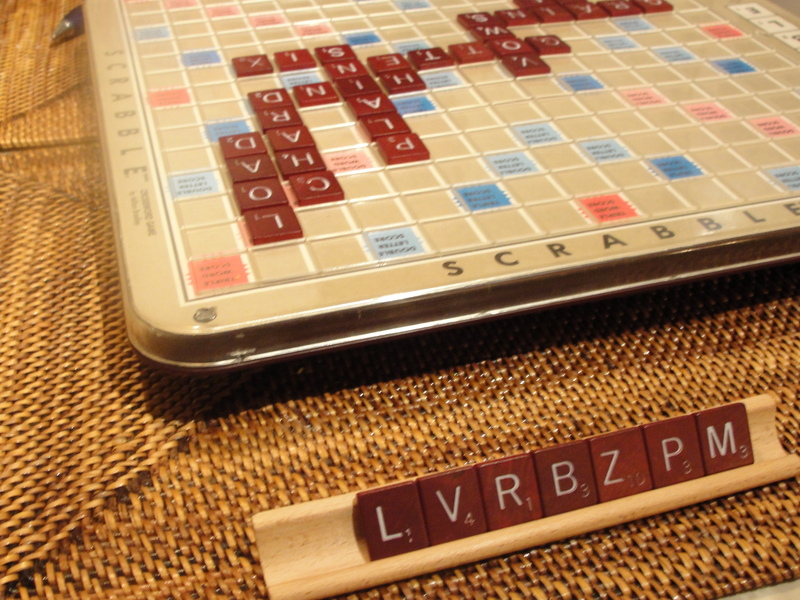 I hope your scrabble board never looks like mine. 7. When the sunchokes have softened, take an immersion blender to the pot and let it go. Blend until the soup is silky. 8. While the soup is reducing – you want it to be thick (not gummy), like the consistency of a potato leek soup – heat a nonstick pan. 9. Add pumpkin seeds. Watch them carefully. They will plump up when they are toasted. Remove the seeds and keep them covered and warm. 10. Add the sesame oil to the pan and heat over medium high flame. 11. 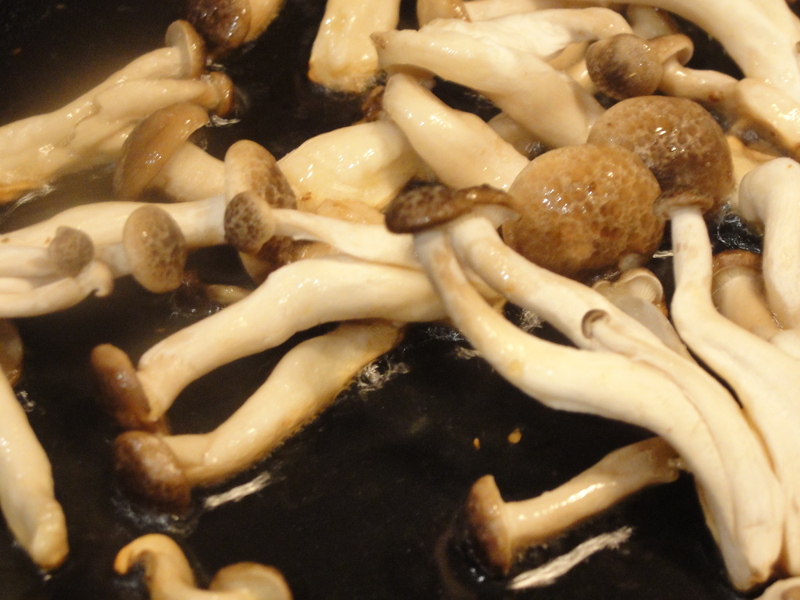 When oil is hot, add the shimeji mushrooms and fry them until a golden brown. Put them aside as well. 12. 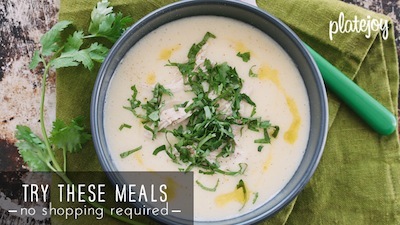 To serve, add a dollop of crème fraiche to heaping bowl of the hot sunchoke soup. 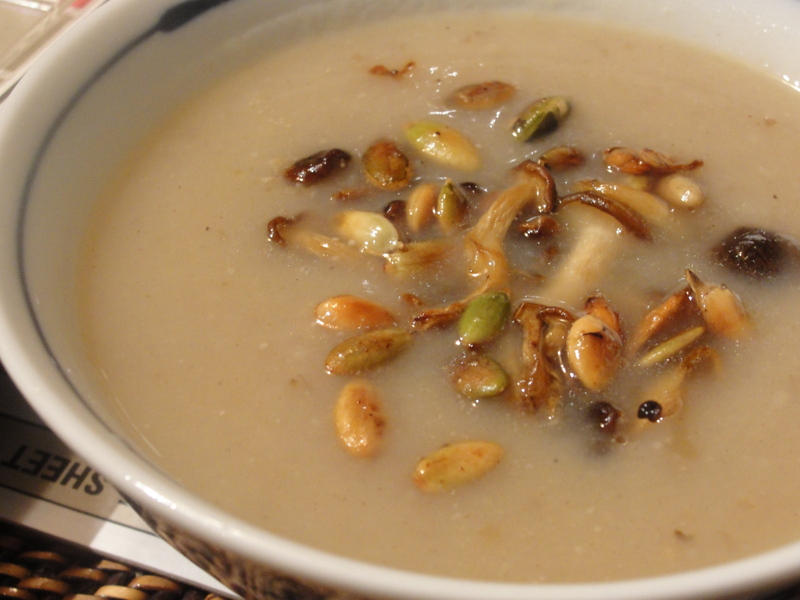 Top with pumpkin seeds and mushrooms and enjoy. 1. Begin to heat a large, deep pan (like a wok) and add the canola oil. 2. Clean the sunchokes and then use a mandolin or knife to slice thin, chip rounds. 3. Use the spit test to see if oil is hot. (Spit test is when you flick some water or a small piece of the sunchoke into the oil. If it hisses and spits back at you, the oil is ready to go). 4. 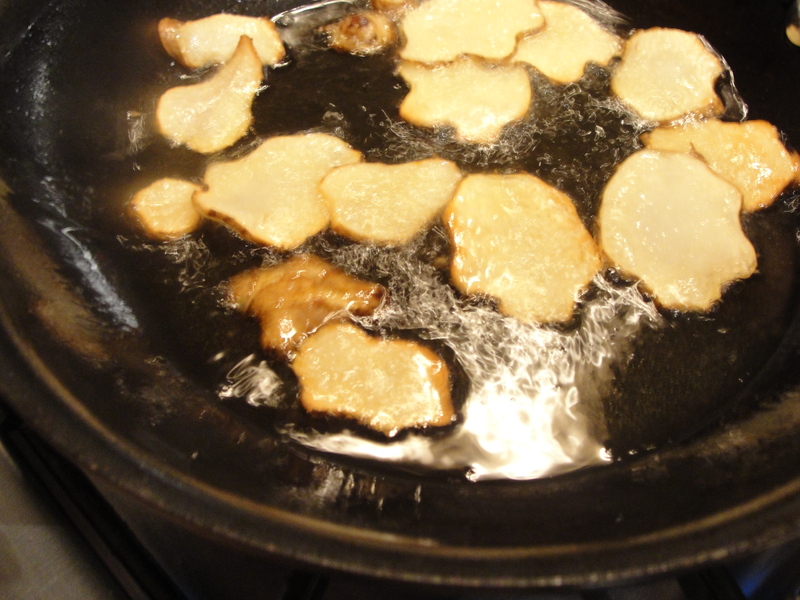 In small batches, add the sunchokes to the oil and let them fry for 2-3 minutes. You do not want the pan to be crowded. 5. Remove the sunchokes with tongs or a spider skimmer and let them cool on a paper-towel lined plate. Repeat step 4 and 5 until all the sunchoke slices have been crisped. 6. You can dust them with lemon pepper, cayenne, or smoked paprika, but they taste quite flavorful without any spice. To serve, scoop them into a paper bag (if you are taking them out) or a bowl (if you are staying at home). Watch out potatoes, these guys have your number. mmm fried sunchokes. sounds good. where the heck does one get sunchokes not at a farmers market??? We got ours at Whole Foods (in February) and you can find them at Farmer’s Markets generally between Sept-Dec, but seasonality will vary depending where you live. I grew up eating pickled Sunchokes. They were so crunchy and delicious. 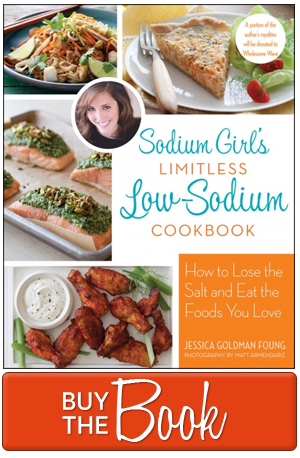 I think I’ll try to make a low sodium version when they start to show up in the market. Thanks for reminding me how much I enjoyed those! I actually saved a few sunchokes to pickle! I can’t wait to soak them in some vinegar.